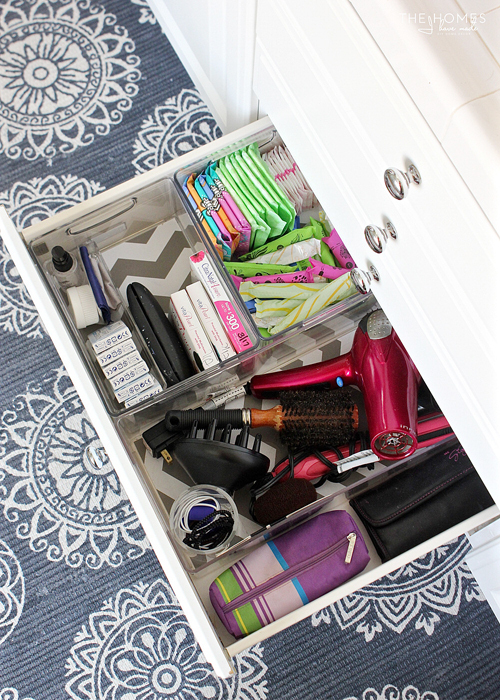 IHeart Organizing: UHeart Organizing: Line Your Drawers Like a Pro! 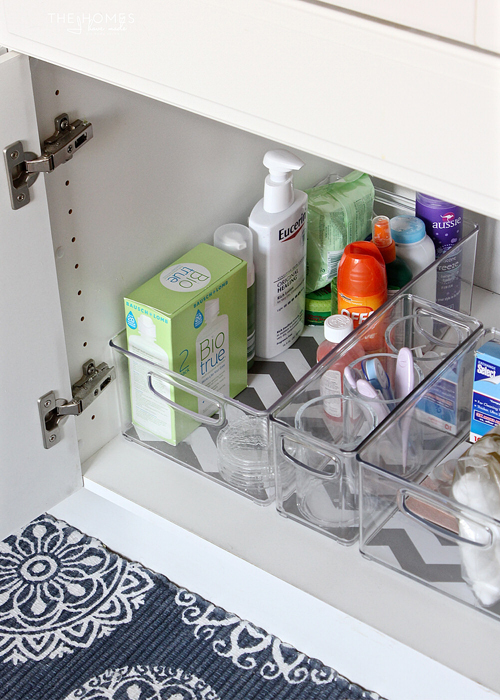 14 UHeart Organizing: Line Your Drawers Like a Pro! Lining drawers has endless benefits. Aside from the instant joy you will feel each time you open a drawer, liners also protect the drawers from spills and damage caused by daily wear and tear. I have shared quite a few examples of lined drawers and cabinets over the years, and I am always asked for tips on how to get them just right, or even just some advice for easing the process a bit. 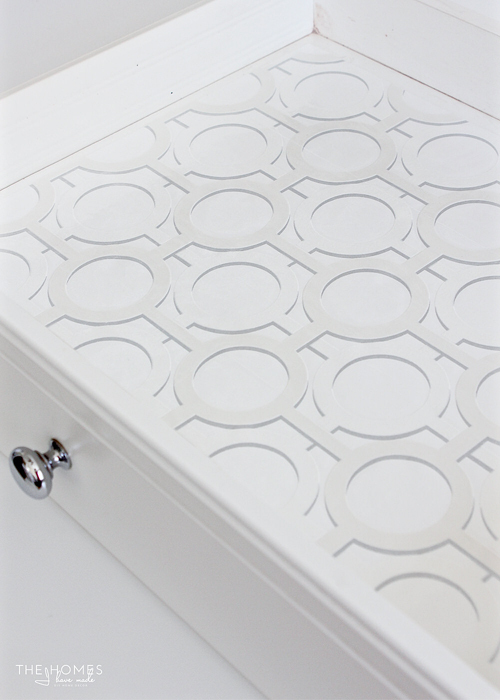 Of course I went through a bit of a trial and error period (I learned the hard way to never use spray adhesive and gift wrap on a drawer), and today my friend Megan is stopping by to share all of her tips for lining drawers like a pro. 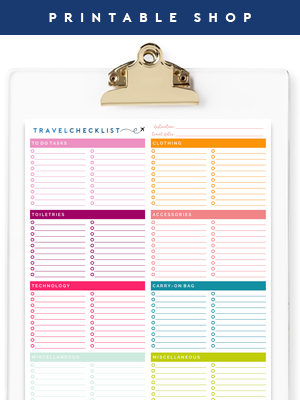 I follow a very similar process as Megan, and I am thrilled she put this together for us because her tips are spot on (so your drawers can be spotless). Hello again, iHeart Readers! 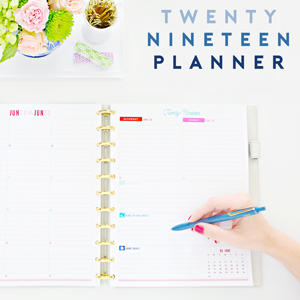 I am so excited to be back sharing another organization-themed project with you all today. 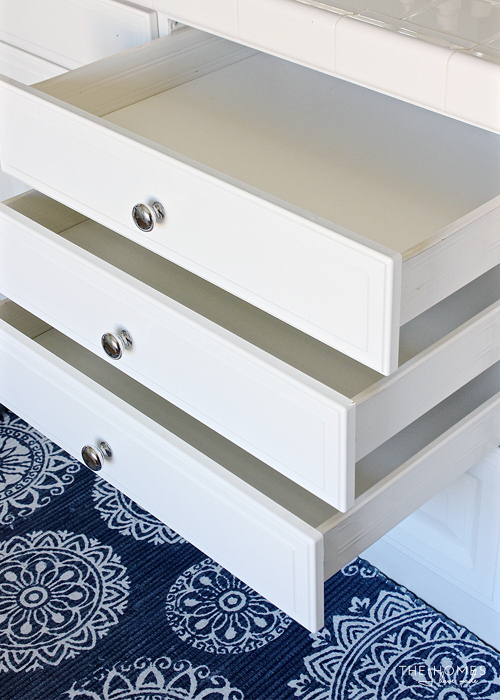 This time, I’m sharing my tried-and-true, stress-free method of lining drawers to make them a little extra personal, pretty, and most of all, durable! 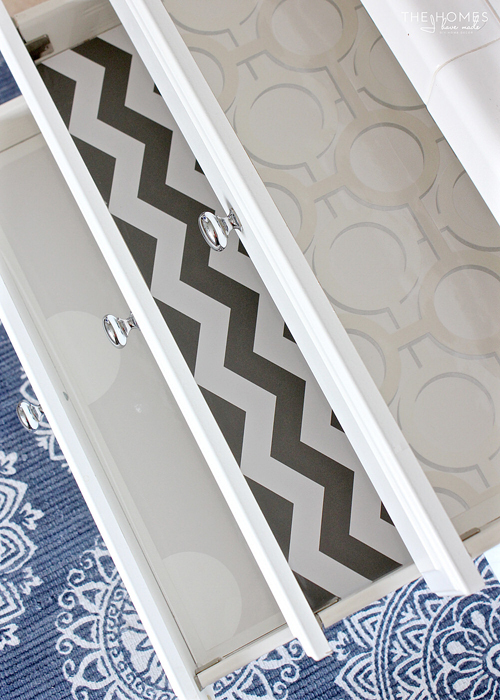 Like Jen, I am a huge fan of patterned papers inside all of our drawers. Sure, this color - and pattern -loving gal enjoys the pop of pretty when I quickly open them to grab something out. But more so, as a perpetual renter, lining drawers with paper has become one of my easiest and most reliable rental “tools.” Not only do the fun patterns allow me to express our personal style in an otherwise bland home, but the wipeable paper keeps our daily wear-and-tear on a rental to a minimum. When it’s time to move out, peeling out the paper is much quicker and easier than cleaning and wiping out every single drawer! Anyone who has wrestled with sticky contact paper, dealt with unsightly bubbles, worked with awkward drawer sizes, and mis-measured cuts over and over, also knows that lining drawers can be somewhat of an exasperating experience. For a long time, it was a chore I hated to do despite loving the results. Well... after lining almost every single drawer and shelf in our seven different homes over the years, I’ve gotten it down to a (quick and easy!) science... and it’s now something I look forward to rather than dread. Let me share my secrets with you! 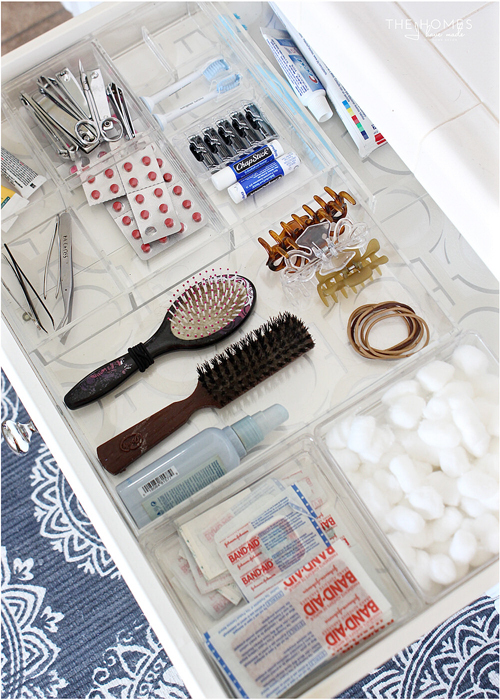 First, I’ve found that gathering the right supplies and doing some basic prep ultimately makes the drawer lining process a bit easier and smoother. Tip 1: Whenever I line drawers, I forgo the scissors and pull out a self-healing mat, 24” cutting ruler, and rotary cutter. 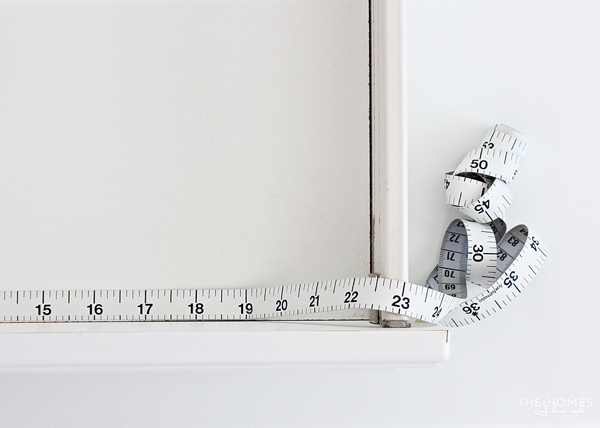 A flexible measuring tape is a must for getting the most precise measurements, and a notebook and pencil are handy when you have lots of drawers with lots of different measurements to keep track of! Tip 2: Whenever possible, take the drawers out. Sometimes this isn’t possible or practical; but it sure does make getting precise measurements AND putting the the paper in square so much easier. Tip 3: Before going anywhere near drawers with sticky paper, take a few seconds to quickly wipe out any sticky residue and vacuum out any dust or loose particles. 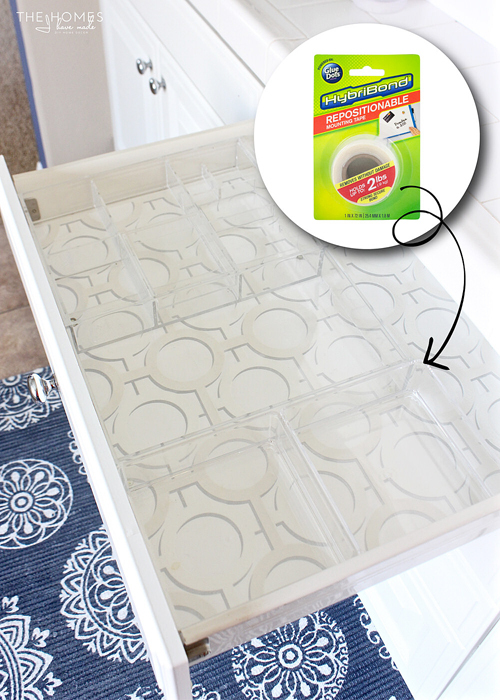 Contact paper really sticks best when the drawers surfaces are as clean as possible! Tip 4: Before cutting paper for the drawers, take the time to get precise measurements of both the width and depth of each one using a flexible tape measure (which allows you to get into tight corners a bit easier). Tip 5: If you have a lot of drawers (in a bathroom, kitchen, or handmade piece of furniture for example), don’t assume they are all the exact same dimensions. Measure each drawer individually and keep track of the various measurements on a piece of paper. 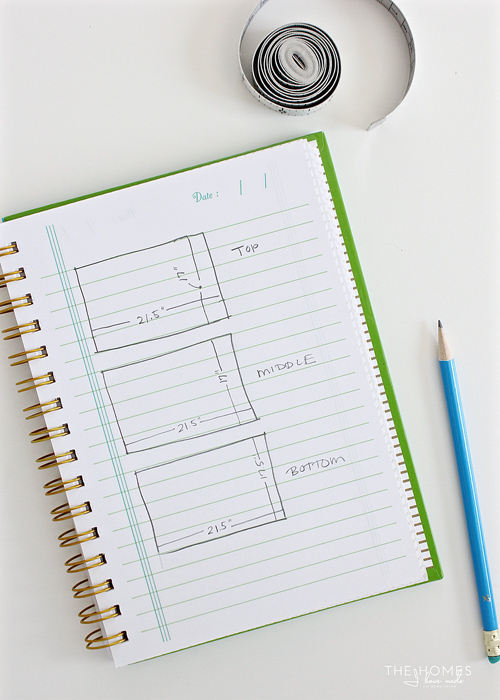 Mapping out the dimensions is especially helpful if you plan to use different papers in each drawer or if you are trying to figure out how to make the paper you have fit best! I am often guilty of trying to make a single roll of a great pattern fit across all my drawers in a space. Sometimes paper can be rotated and cut in various directions to make the most of the width of the paper as well as the length. However, this doesn’t always work. 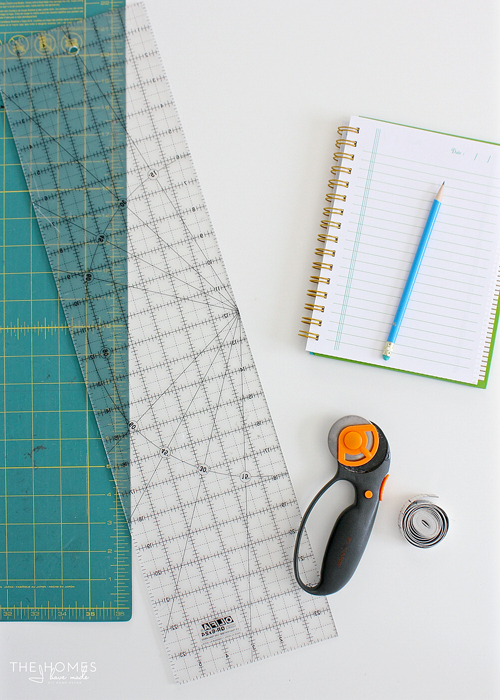 Tip 6: Be sure to pay attention to the pattern of the paper when trying to figure out how best to cut out your required dimensions. 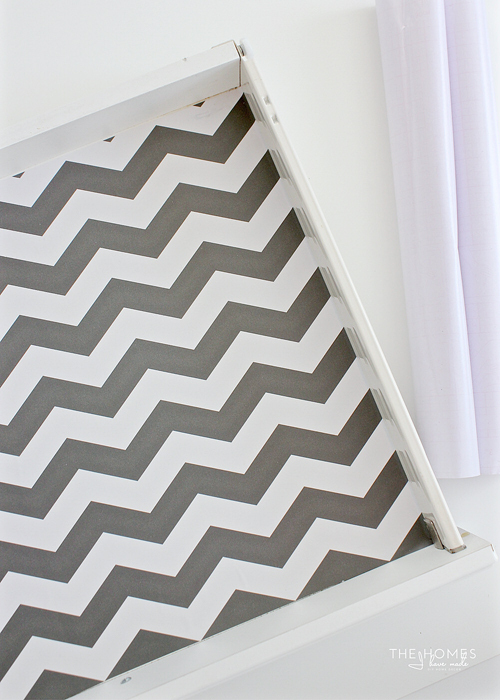 Some patterns (like the bottom two chevron patterns) look best when installed horizontally; while others (like the blue trellis pattern) can be installed either horizontally or vertically. Spend some time analyzing both the pattern and dimensions of your paper and the dimensions of the drawer before starting to cut! I mentioned above I that prefer to use a cutting mat, ruler and rotary cutter when trimming drawer liners down to size. First, I find that because contact paper often comes on tight rolls, it can be pretty tricky to deal with (because it likes to keep curling up). Second, I buy a lot of my contact paper from clearance stores and have discovered that the ruler grid on the back of the paper is not always entirely accurate. 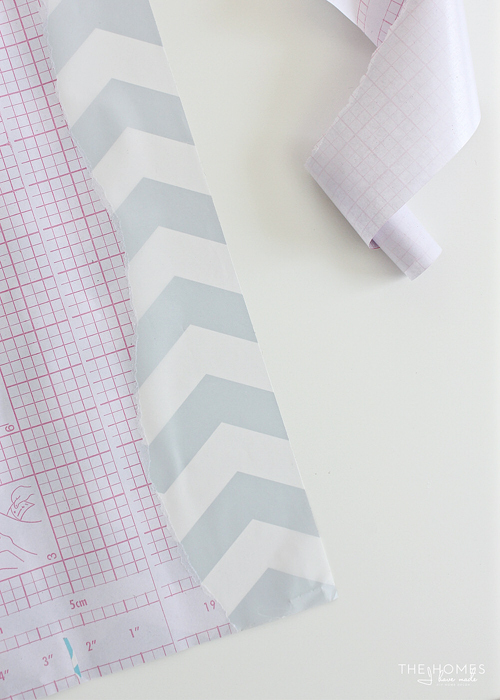 Tip 7: Forgo both the scissors and the printed grid on the back of contact paper. 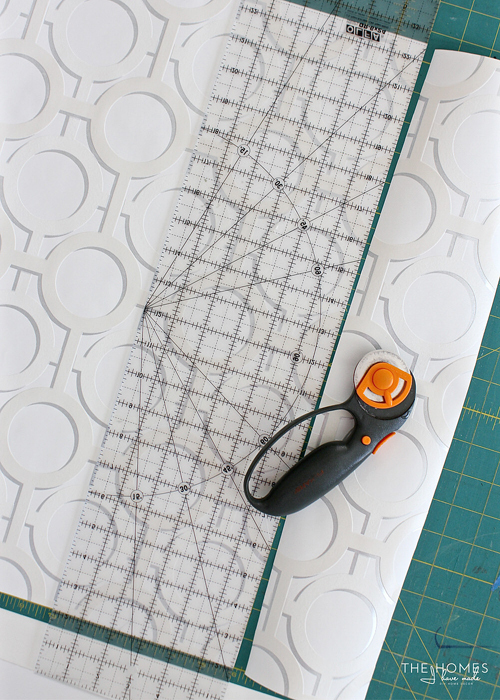 Use a rotary cutter set to both keep unruly paper in order and ensure precise measurements. Most often, contact paper is used to line drawers. 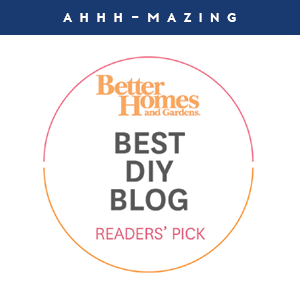 It’s easily wipeable, and its adhesive backing is easily removable, making it ideal for renters and those of us who change our minds frequently! #guilty However, gone are the days of plain and boring contact papers. 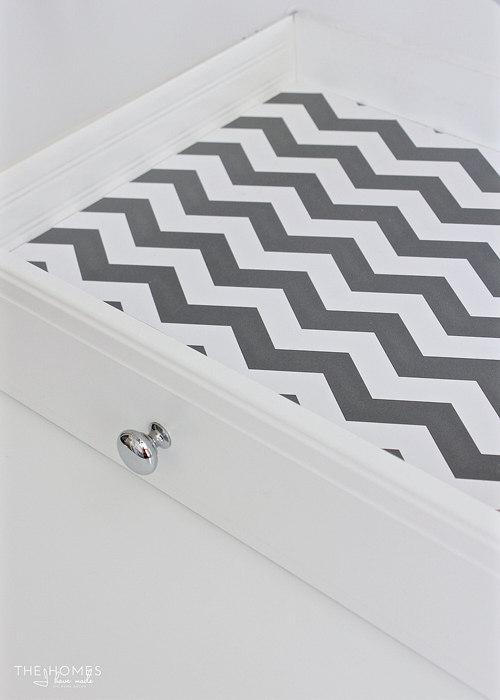 You can now find drawer liners in almost every color, style, pattern, texture, and price point you want! 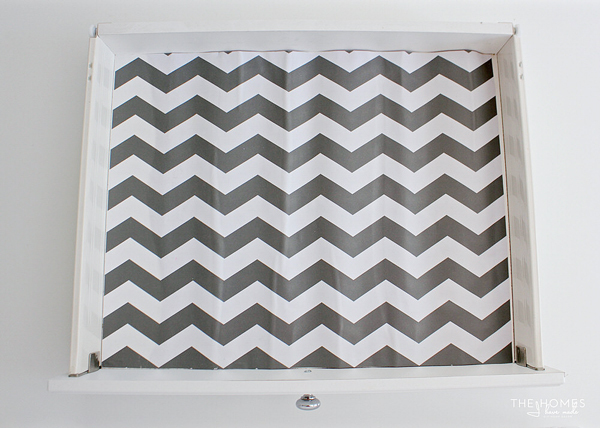 Tip 8: Don’t limit yourself to using only contact paper in your drawers. Almost anything (as you will see later on!) can be used if it can be cut to the right size. Keep your eyes out in clearance sections of craft and home stores, as well as clearance stores (like Marshalls and Ross) for bargain prices on great patterns. 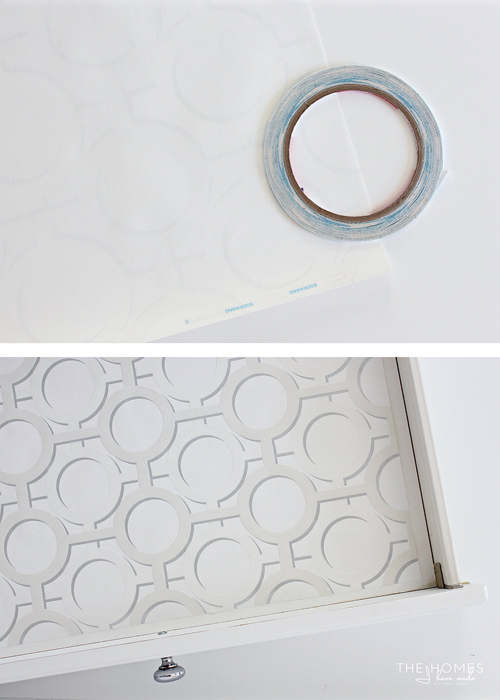 Even peel-and-stick wallpaper, when found on clearance, can make for fun and budget-friendly drawer liners! One of the most exasperating parts of lining drawers with adhesive papers is the actual installation process. Once you peel the paper backing off, it seems like all hell can break loose. If you’re not careful, you can easily end up with large bubbles, a caddywhompus installation, or having to cut it all over again because the paper sticks to itself. #beentheredonethat Here’s how to prevent all of the above! Start by tearing away just 1-2” of the paper backing off your trimmed down liner paper to reveal the sticky surface. Next, peel up the torn edge away from the sticky surface just a bit to help get the paper started. With the paper backing still on a majority of your paper, place the exposed sticky edge into your drawer, taking care to align in on the long edge, as well as the top and bottom. Next, smooth out the remaining paper (still with the paper backing attached) to ensure 1) it will fit properly across the bottom of the drawer, and 2) the paper is sitting in the drawer nice and straight. Tip 9: With only a few inches of sticky paper exposed, it is very easy to peel off the paper from the drawer and re-adjust the placement as necessary. If the paper doesn’t start lined up, it will only get worse as you peel the paper back off the rest of the paper and lay it in the drawer. Take the time to re-adjust now and get the alignment just right! With the alignment correct, it’s time to peel away the rest of the paper backing and smooth any bubbles as you go. Lift the paper up and find the torn edge that you’ve already pulled away from the sticky paper a bit. As you slowly pull the paper backing straight out to the side (below right), smooth the paper down onto the drawer surface with your other hand (below left). Smooth any bubbles as you find them. Tip 10: Try not to pull the paper backing all the way off and then smooth the paper down. With the paper fully removed and all the sticky area exposed, it becomes much harder to go back and deal with bubbles. 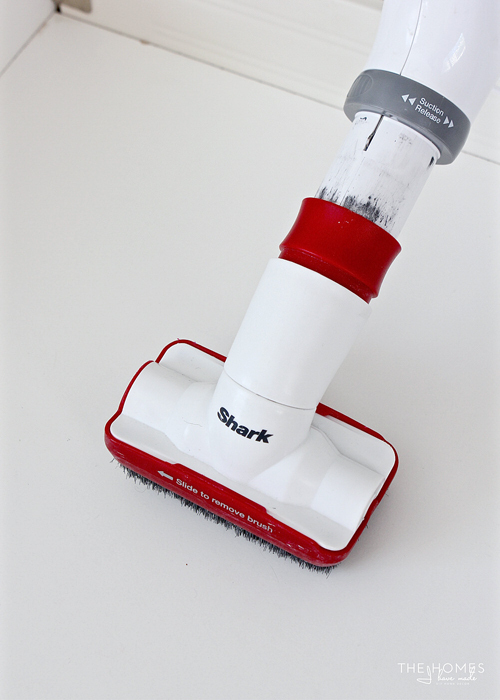 Work slowly, and only pull more paper backing away as you smooth the paper down into the drawer! 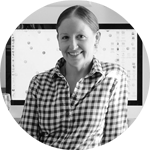 If measured and aligned right, your paper should fit perfectly into the bottom of your drawer the very first time, without having re-position, re-smooth, or re-cut! Tip 11: In the event you didn’t get your measurements or alignment quite right, run a sharp craft knife along the very edges of the drawer. 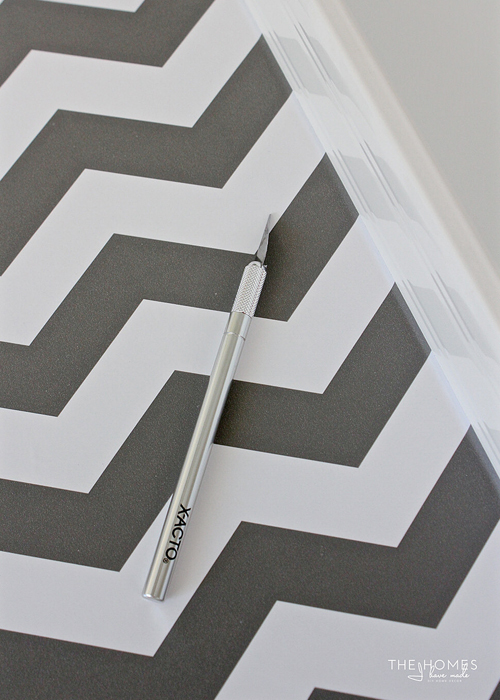 Contact paper usually cuts easily, leaving you with a clean and perfect edge in the end! Like Jen, I don’t limit myself to using just adhesive-backed papers to line drawers. 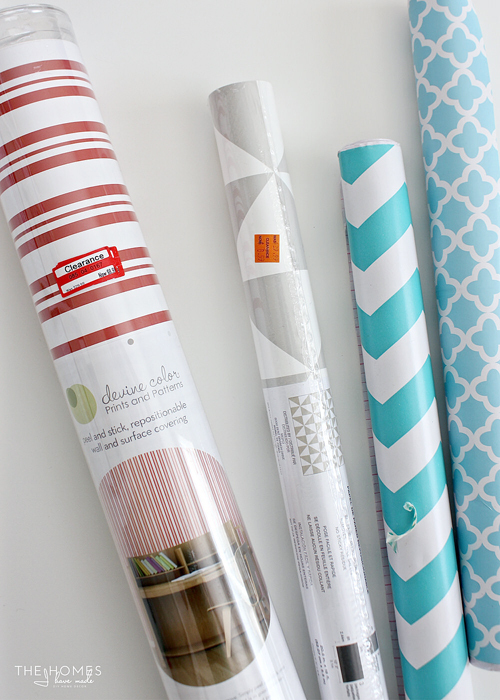 Wallpaper, wrapping paper, scrapbook paper, and more are all fair game! 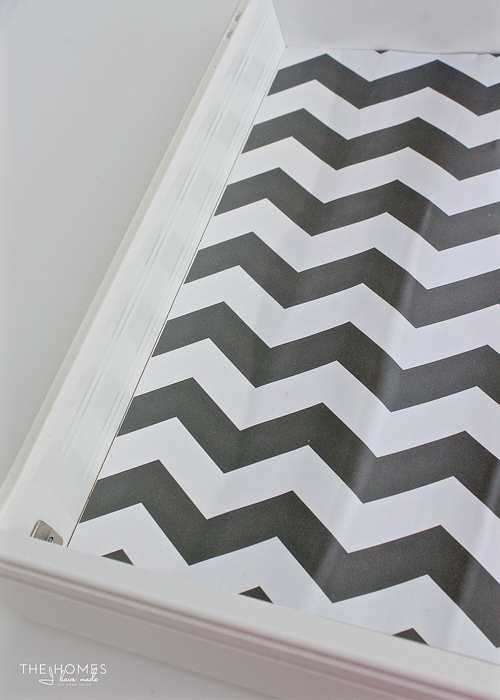 In fact, last year I shared a tutorial right here on IHeart on how I used liquid starch and regular wallpaper to line our office cabinet drawers! But what if you want to use these non-wipeable papers in a moist environment such as kitchens, baths, or laundry rooms? 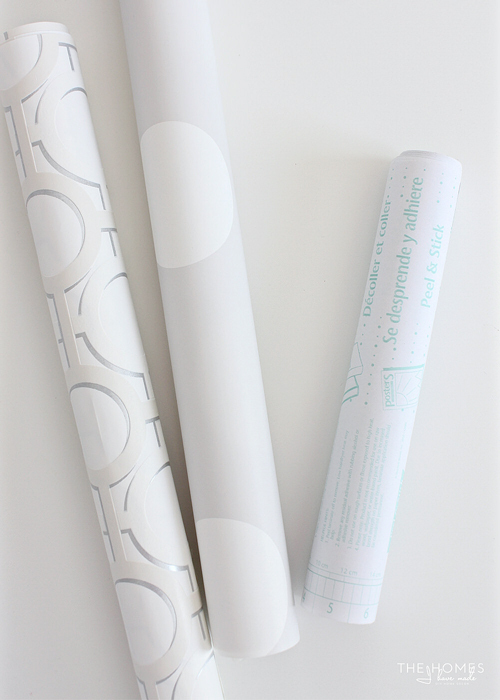 Using clear contact paper (below right) on top of decorative papers is the perfect solution! Tip 12: Many wallpaper companies will provide wallpaper samples for FREE, and they are often large enough to fit inside standard drawers. Next time you’re sourcing wallpaper for another project, hang on to the samples to outfit drawers too! 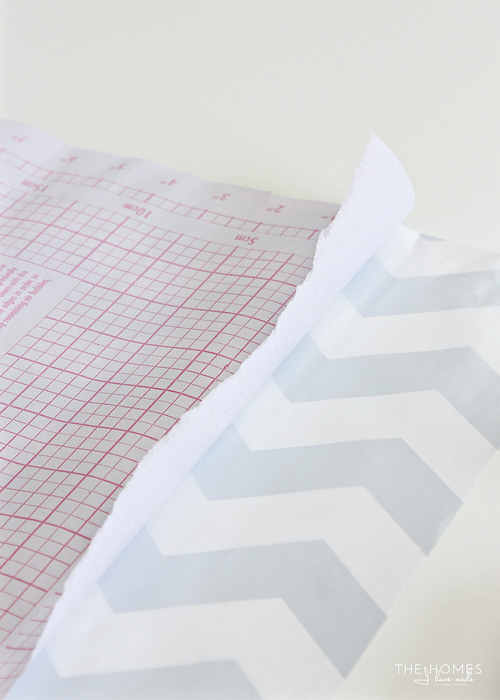 Just like with the adhesive-backed paper, use a cutting set to trim the paper down to size. When using non-stick paper (that will get a clear contact paper covering), I reduce my measurements by ½” in each direction. 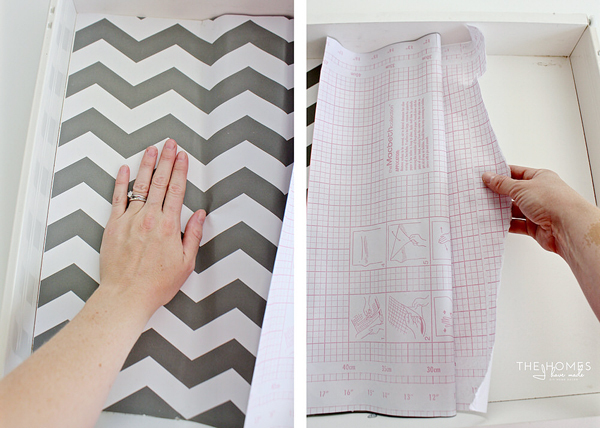 Like before, pay attention to dimensions versus pattern when determining how best to cut out the paper. I find it easiest to first secure the non-stick paper to the drawer using strong double-stick tape. 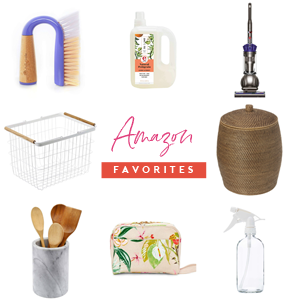 Anything you have on hand can work here! 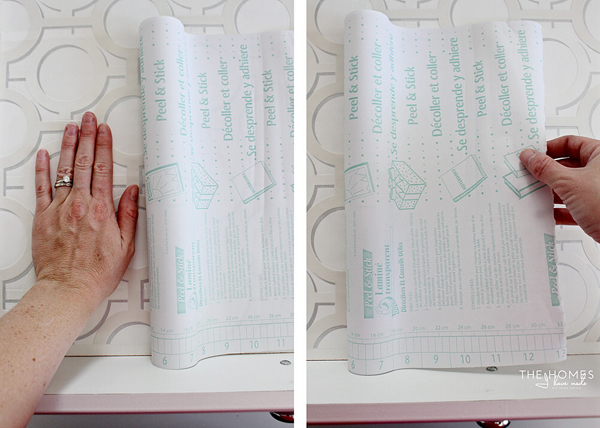 Next, use the exact same method as described above (tear away 1-2” of the paper backing off of sticky clear contact paper, align sticky edge with the edge of the drawer, pull away slowly with one hand as you smooth with the other) to apply clear contact paper to the top of non-sticky paper. Notice that the smaller patterned paper leaves room for the clear sticky paper to attach to the drawer, keeping everything smooth and in place! 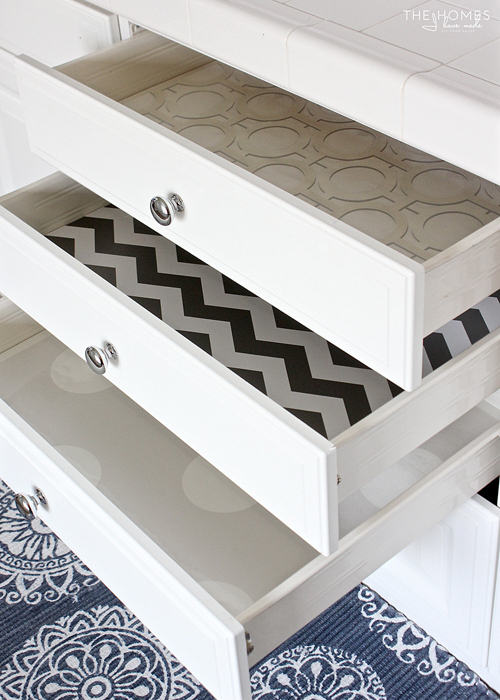 With just a little bit of time and effort, you can give the insides of your drawers some major style and personality! Whether it’s peel-and-stick or some other fun paper you discover, don’t hesitate to have a little fun and do something unexpected! 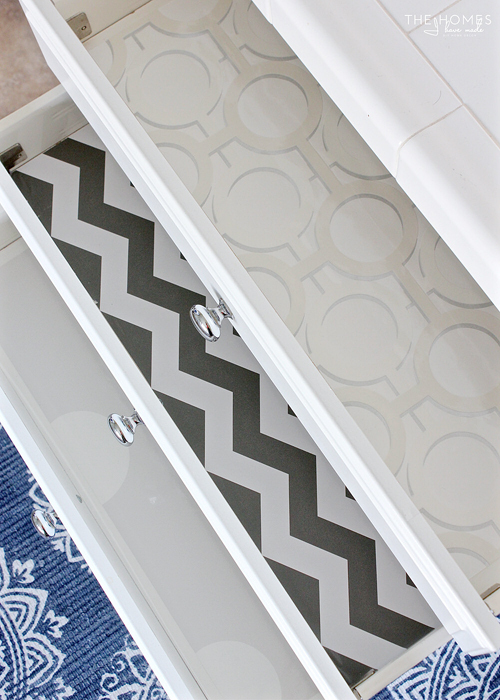 Patterned paper is especially fun in drawers where you use clear drawer organizers. 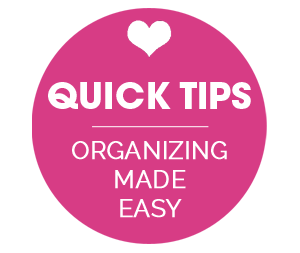 Tip 13: When you move frequently from home-to-home (or even find yourself re-arranging drawers), it can be frustrating when organizers don’t fit quite right. But you don’t need to run out and find new ones! To keep organizers from sliding around each and every time you open the drawers, secure them in place with thick double-sided tape like this one! 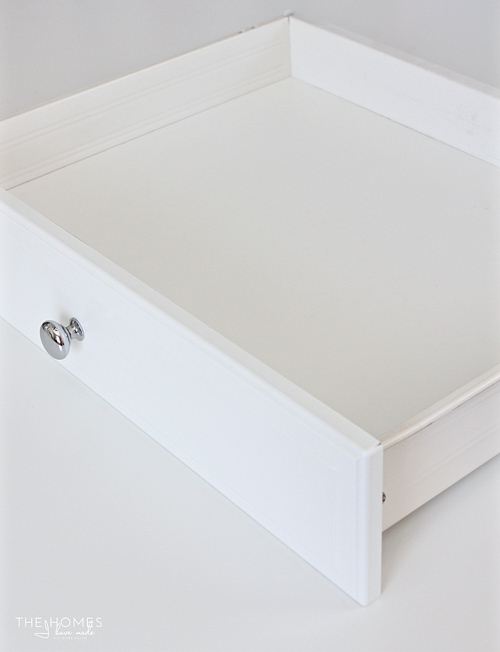 When butted up against each other, you will have a perfectly customized drawer organizer using items you already had on hand! Have you ever gotten through most of a drawer lining project only to discover you’re a few inches short and you just don’t have enough paper to finish? #beentheretoo To save yourself from buying a whole new roll for the last few inches, get creative with the paper you have left. As mentioned above, try and rotate the paper to see if you can get the dimensions you need. 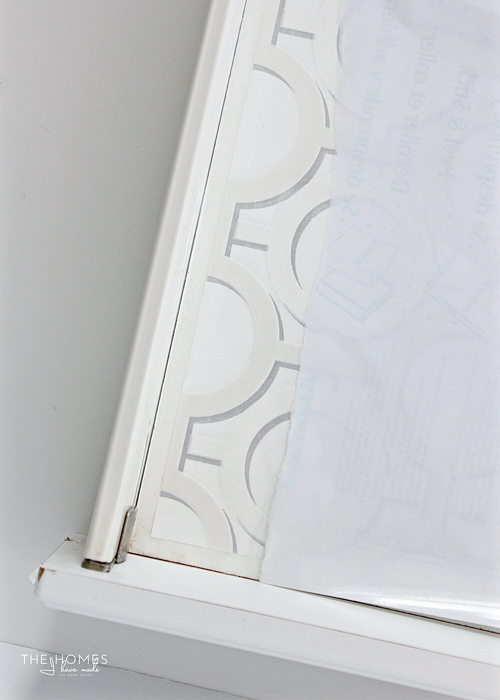 Tip 14: Or, line the base of the organizers instead of the drawer/cabinet itself! Instead of lining the full drawer and cabinets in our bathroom (which would have required a lot more paper), I chose to line the bases of my acrylic caddies with the paper I had left. 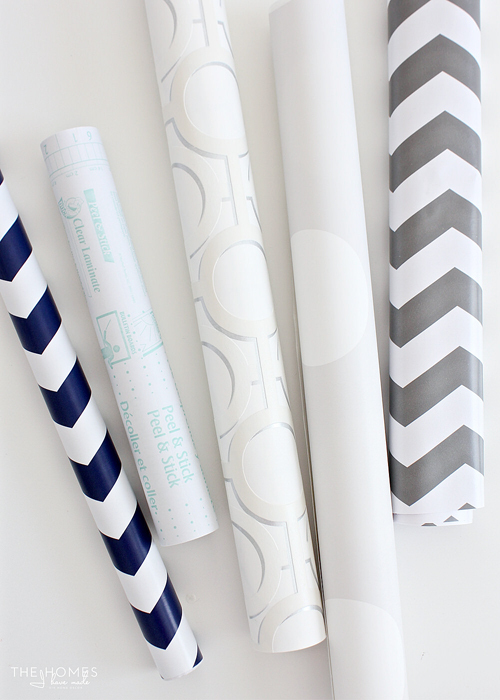 This gave me the splash of pattern I was craving without causing me to invest in more paper! Lining drawers with pretty papers was always a chore. I knew it was helpful in our rental lifestyle, but it was a task I never particularly looked forward to. After years of wrestling sticky papers into our drawers (and wasting lots of pretty paper along the way! ), I’ve finally come up with a way that gets the paper in cleanly without cursing and sweating along the way! 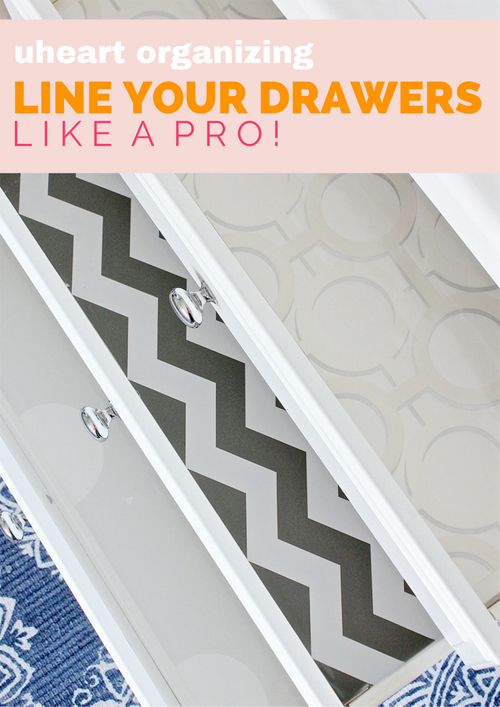 I’ve you’ve ever found yourself discouraged by the process of lining drawers with paper, I hope these tips and tricks help make the task a little smoother! 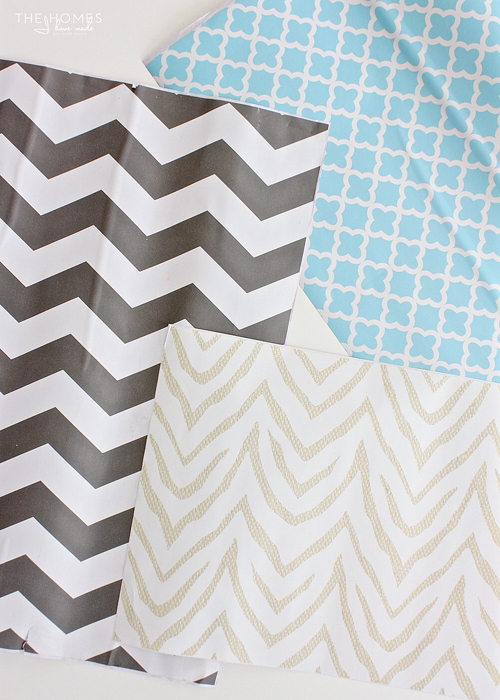 Our bathroom isn’t the only thing that has seen the addition of some pretty papers lately! Our kitchen drawers also just received an organization overhaul, and we sure are loving the positive impact it’s having on our day-to-day life! 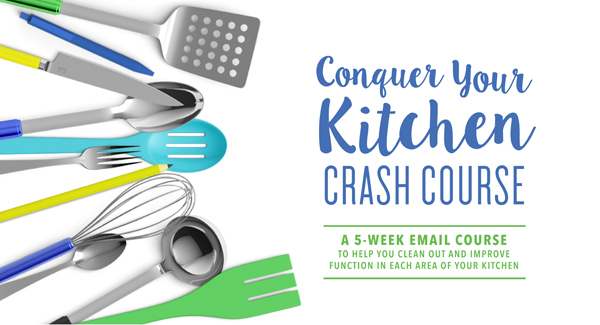 Finally, if your kitchen needs an organizational overhaul before the holiday cooking, baking, and hosting season gets into full swing, I invite you to sign up for my FREE kitchen organization course! I’m providing you with all the tips, tricks, motivation and printables you need to conquer the clutter in your kitchen. You can learn more and sign up here! Excellent tutorial - thank you! One question, how much residue does the adhesive from contact paper leave in the drawer bottoms when removed and what's the best way to clean the residue left behind? I find that most shelf liners come up pretty cleanly, but if they sit for many years, they may leave a sticky residue. Cocunut oil is one easy and natural way to remove stickiness, and sometimes I also have luck with rubbing alcohol. I'm dying to know where the rug came from. I've been looking for something similar for a long time! I use contact paper but only peel away a small square in each corner. Being in a rental, how do you get the paper back out without leaving a sticky residue? Thanks for all of these great tips. 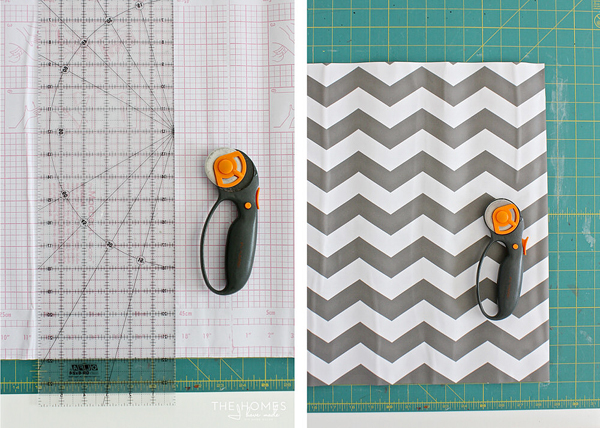 I never thought about thinking about the pattern before positioning the paper or cutting. I also like the idea of using a flexible measuring tape and that nice base you have for cutting. Whew. I need to line my drawers. I used to have a thing for classic patterns so I have a bunch of toile contact paper.... but it's not really my thing anymore. I really love that silversy pattern with the circles in it.... Good tips! I also want to know about the rug!! Beautiful choices of patterns ! I LOVE this idea. 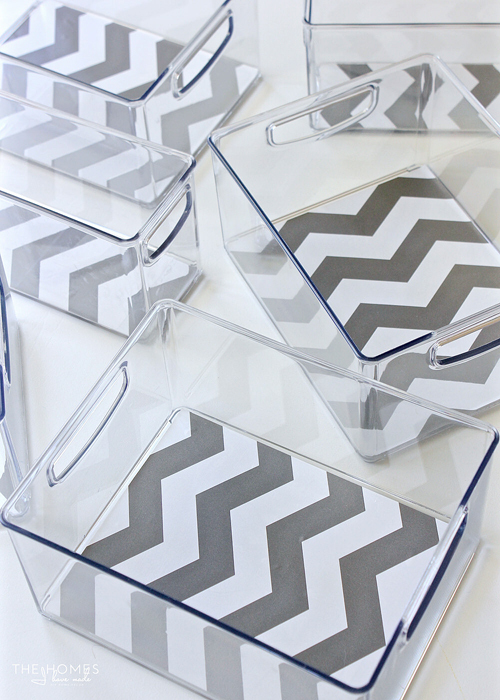 I never would've thought of lining acrylic containers. Where did you get those? I must have some to put paper in! !